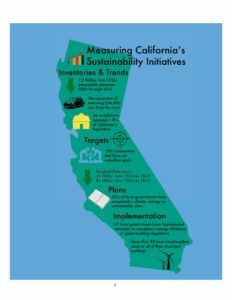 State of Local Climate Action: California 2016 provides a unique portrait of local government climate leadership in California. Released on October 6th at the League of California Cities Annual Meeting, the report was developed by ICLEI in cooperation with partners through the Statewide Energy Efficiency Collaborative (SEEC). The report presents a comprehensive picture of measurable local emissions trends, targets, planning efforts, and energy and climate actions in the state, along with in-depth profiles of local and regional agencies pursuing goals like public health and economic development through climate action. The findings confirm that local governments are making a significant contribution to the State’s climate goals, which are among the most aggressive in the world. Contributors include SEEC partners ICLEI, the Institute for Local Government, Local Government Commission, Pacific Gas and Electric Company, San Diego Gas & Electric Company, Southern California Edison, and the Southern California Gas Company.